Posted 9:19 pm by Administrator & filed under News. 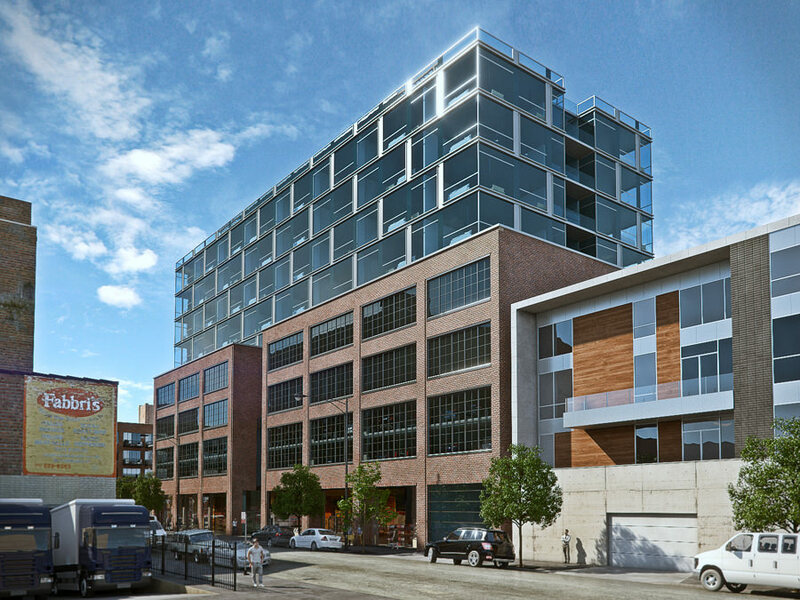 Construction has begun on a new 202,000 SF, mixed-use development at 171 N. Aberdeen in the Randolph-Fulton Market district. Designed by Hartshorne Plunkard Architecture, the 11-story structure contains 12,000 SF of ground-level retail space, concealed parking at the second and third floors, and 40,000 SF of Class A commercial office space. To complement the site context, the base is clad in masonry and features warehouse-style windows. The residential levels offer a mix of 75 studio- through two-bedroom units, with floor-to-ceiling windows that will yield expansive city views. Residents will enjoy access to the penthouse amenity floor that will feature a fitness center, club lounge with built-in bar, and a 13,000 SF green roof with an outdoor fireplace and grill area, sun deck and dog run. To meet a goal of LEED Silver certification, the project incorporates open spaces, native plantings, and recycled and local materials. Led by MCZ Development, the project team includes HPA as the architect and interior designer; engineering consultants Stearn-Joglekar, KJWW, and Eriksson Engineering Associates; Hitchcock Design Group as the landscape designer; and Novak Construction as the general contractor. Occupancy is anticipated in Fall 2017.